Mondelez management attempted to unilaterally announce the closure of the Johor Baru plant at the beginning of July 2018, but Malaysian IUF affiliate FIEU intervened to demand negotiations. Despite several meetings management allowed only consultation with no negotiations, effectively violating collective bargaining rights. 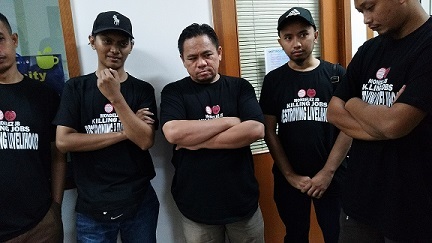 To express their anger and frustration with the closure and jobs destruction, union members started wearing campaign t-shirts on September 28, denouncing Mondelez Johor Baru for killing jobs and destroying livelihoods. Ignoring these serious issues, management reacted by threatening to discipline or terminate workers for wearing the campaign t-shirts. The campaign continues as management threatens to discipline workers while refusing good faith negotiations on transfers and compensation.